Deborah Nelson, ’06 MS Nursing, describes nursing as a career that opens many doors. In her 37 years of nursing experience, she has managed a nursing unit, conducted home visits, worked in public health and only recently retired from the Mother/Baby Unit of Good Samaritan Hospital. 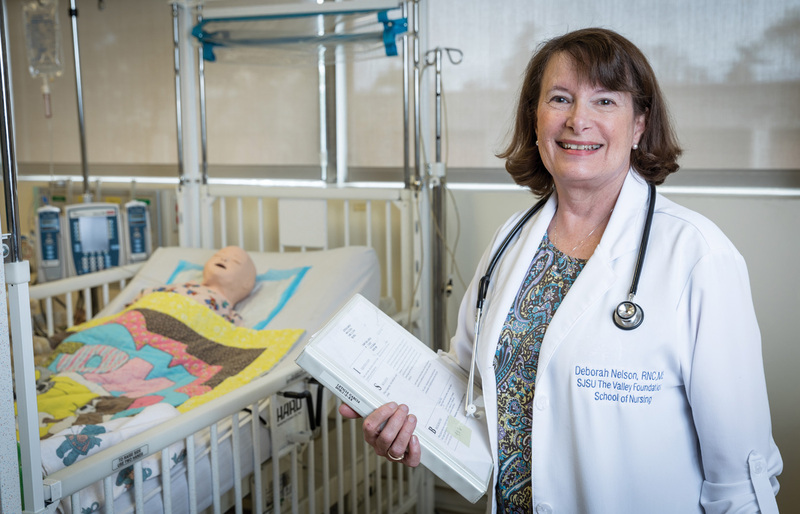 For the past 12 years, the 2018 Outstanding Lecturer Award recipient has also devoted herself to training San Jose State University Valley Foundation School of Nursing students and helping them to open a few doors for themselves. Nelson has taught nine different nursing courses, worked with colleagues to develop an interdisciplinary international program in Grenada and conducted research to improve nurse education best practices. As a clinical placement coordinator for SJSU students, she builds partnerships with local hospitals and healthcare providers to provide students the hands-on experience they need to succeed upon graduation. In her teaching, Nelson is always looking to evolve the way she delivers curriculum. Each semester, she challenges herself to learn a new technology, teaching strategy or pedagogy. 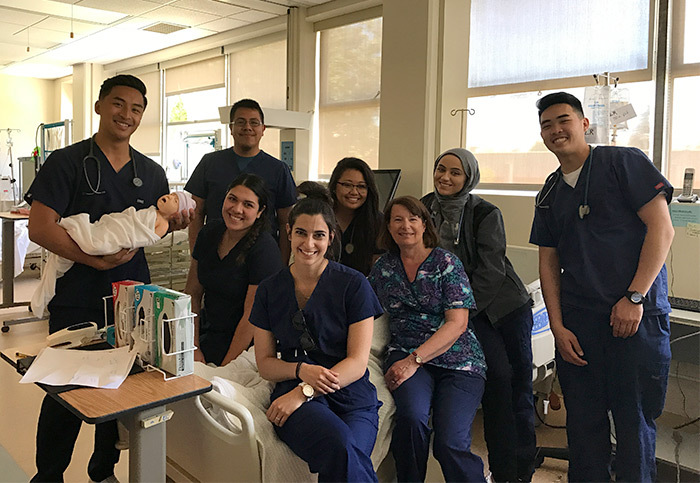 She recently became the obstetrics simulation lab coordinator and guides students through scenarios with “Victoria,” a pregnant mannequin that develops complications during childbirth. Nelson has especially enjoyed her involvement in the Community Health Clinical course in Grenada. In addition to traveling with students to the island nation, she also completed a health assessment to find out what services residents there most needed from visiting student nurses. The Outstanding Lecturer Award recognizes a lecturer for excellence in teaching effectiveness and service to the San Jose State campus community. This year’s winner comes from the College of Applied Sciences and Arts. She will be honored at the 19th Annual Faculty Service Recognition and Awards Luncheon on April 5, 2018. Tickets are available for purchase.